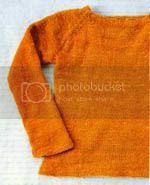 Hourglass sweater in parts, originally uploaded by inkmama. 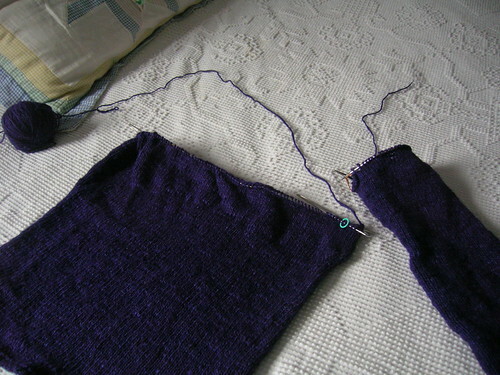 I'm 3/4 of the way done with the Hourglass sweater in Last Minute Knits, but now I can't figure out how to attach the sleeve to the sweater. Anyone know? (If there were sound effects here, it would be of the guy who's now a fly in that old movie, The Fly: Help me...help me! I removed that last post because I saw a misspelling after I'd posted. What I said was I think I finally figured out how to attach the sleeve. Here's hoping I did it right...!